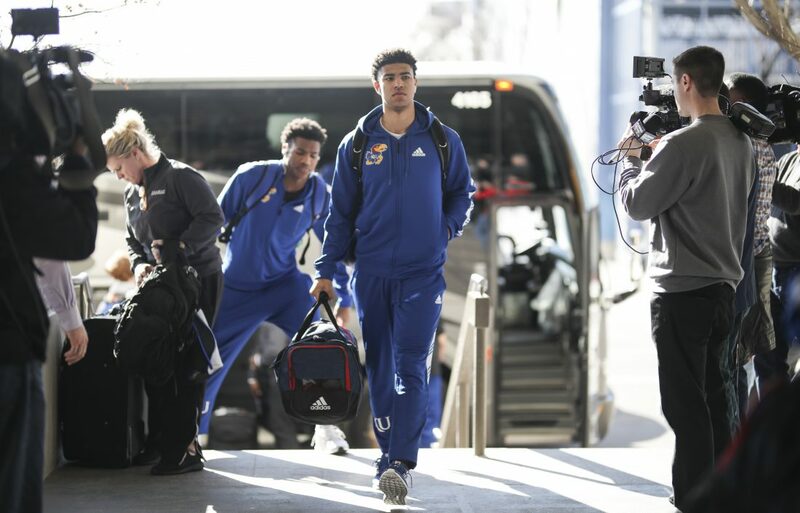 Kansas guards Quentin Grimes and Ochai Agbaji head into the team hotel upon their arrival in Salt Lake City, Utah. The Jayhawks will practice on Wednesday in preparation for their opening round game against the Northeastern Huskies. Salt Lake City — Usually, by now, Kansas basketball coach Bill Self has done a dozen different radio and television interviews and talked until he was blue in the face about his team’s status entering the NCAA Tournament, both as a top contender and as a general representative of one of the greatest sporting events on the calendar each year. But there’s been nothing typical about the 4th-seeded Jayhawks’ pre-tourney status this season. Shortly after arriving at the team hotel in Salt Lake City just before 5 p.m. on Tuesday afternoon, Self talked with a group of reporters about how things had been significantly tamer entering the 2019 tournament. When you’re one of the sport’s blueblood programs and you’re led by a Hall of Fame coach, the idea of “under the radar” is a relative thing. 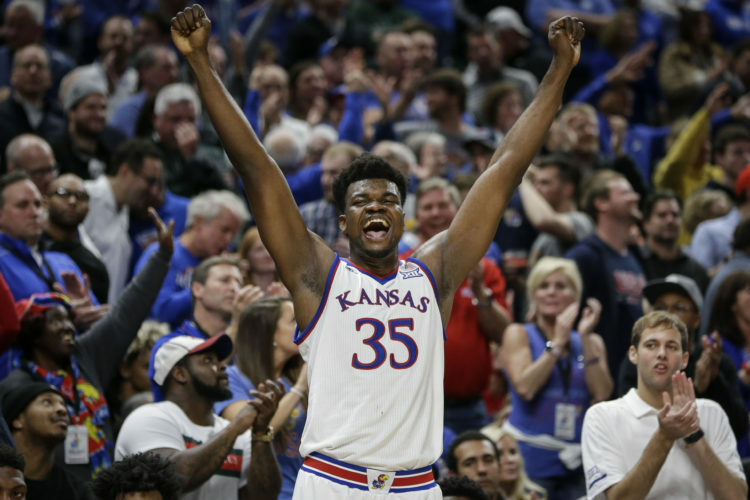 Kansas might not be among the top four or five favorites to win the 2019 NCAA Tournament. But it’s not as if they’re knocking on the doorstep of being a tourney darling either. The Jayhawks, great season or mediocre, are always going to get a certain amount of attention. And Self understands that as well as anyone. Beyond that, he believes part of that equation is good for his players to understand, as well. With Kansas running toward a 3 p.m. tipoff against No. 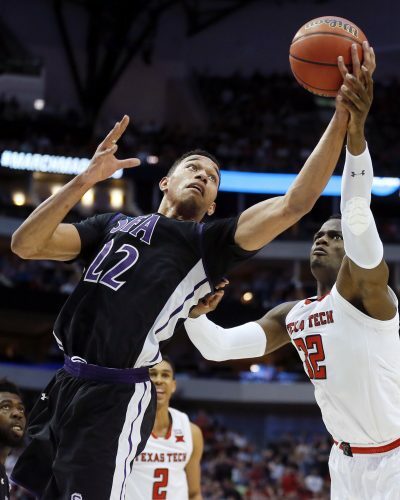 13 Northeastern on the opening day of this year’s tournament, time is quickly running out on the Jayhawks’ chances to prepare for the Huskies, who joined the field by winning the Colonial Athletic Association’s conference tournament. 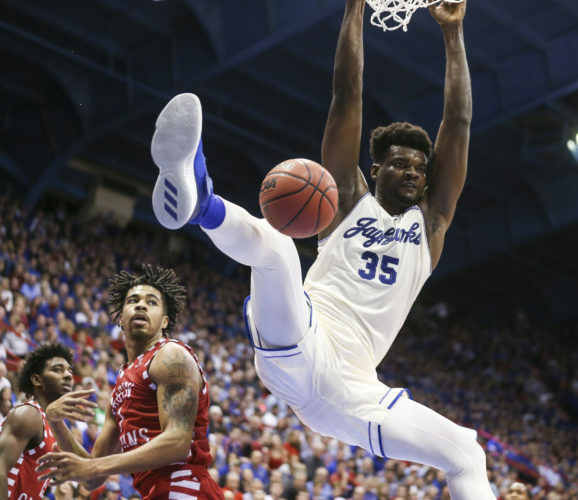 But Self said Tuesday he was pleased with the two days of practice the team has had since the bracket came out on Sunday and he’s looking forward to another on Wednesday during KU’s final full-speed run-through. As for KU’s opponent, Self and his staff have learned quite a bit more about Northeastern in the past two days and the KU leader is even more impressed by the Huskies’ resume today than he was when he learned about the matchup on Sunday. 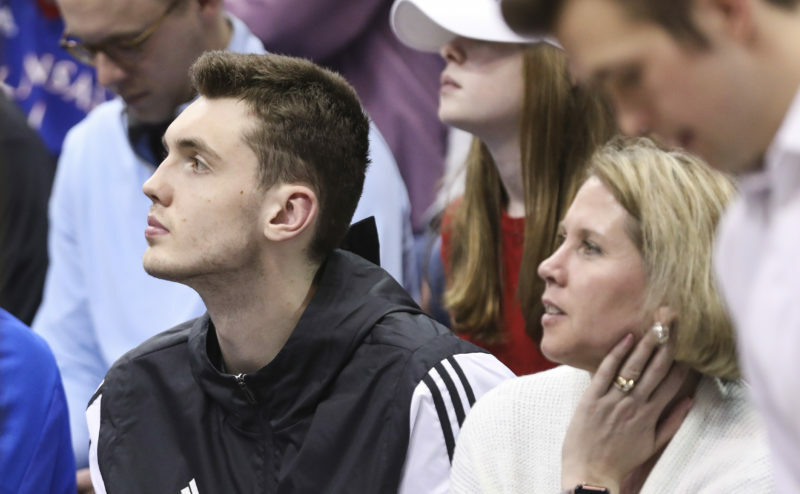 Although Northeastern’s four-guard lineup likely will force Kansas to go small to match up, Self said Tuesday that he still planned to start Thursday’s game with two big men. 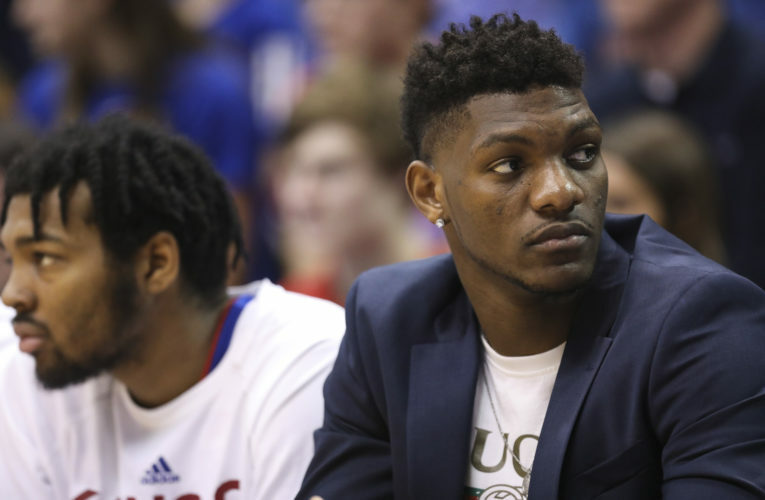 But there’s little doubt that one-time starter Marcus Garrett, a 6-foot-5 sophomore guard who has come off the bench since an ankle injury in February forced him to miss some time, will play as big a role as anybody in KU’s first-round contest. Garrett, who played 77 minutes in five games during last year’s NCAA Tournament, is one of the few players on this Kansas roster who has experienced this type of atmosphere. 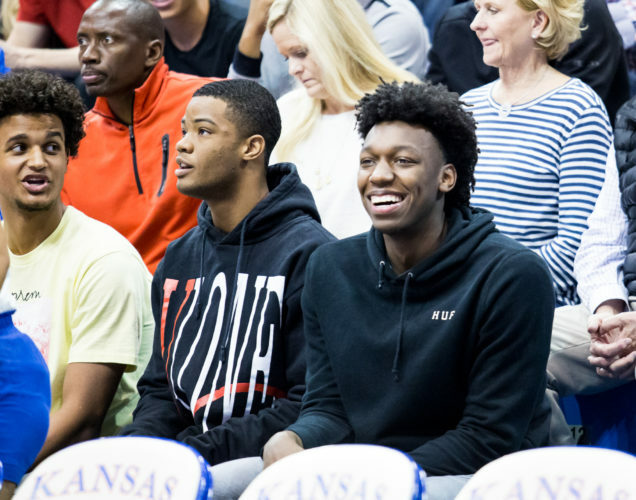 And while the players, no doubt, will look to Garrett, Mitch Lightfoot and even injured center Udoka Azubuike for some tips during the next few days, Self said there was value in letting this group of young Jayhawks figure things out for themselves, too.